To me Fall and Spring are the perfect seasons to be outside. Summer can just get too hot with hundred degree temperatures to be out very much during the day. 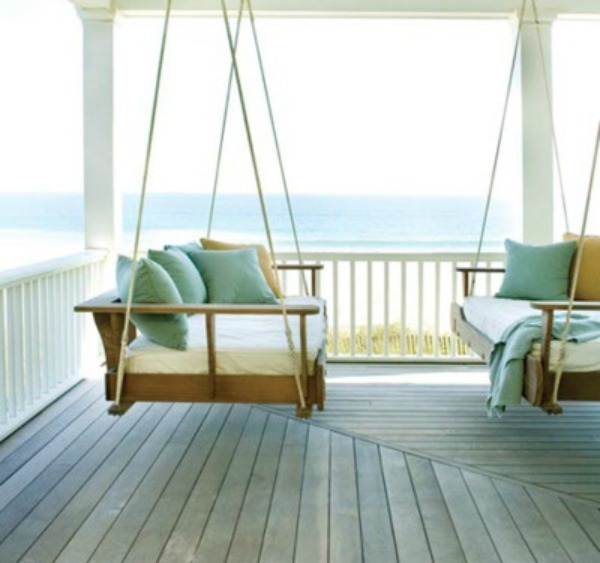 One of the best ways to relax and enjoy the summer breeze is to kick back on the porch in a swing. You can settle down in the shade and take it easy. This is an excellent place to watch the birds and butterflies and to just enjoy nature when it is actually too hot to be out doing anything. This looks like perfection! 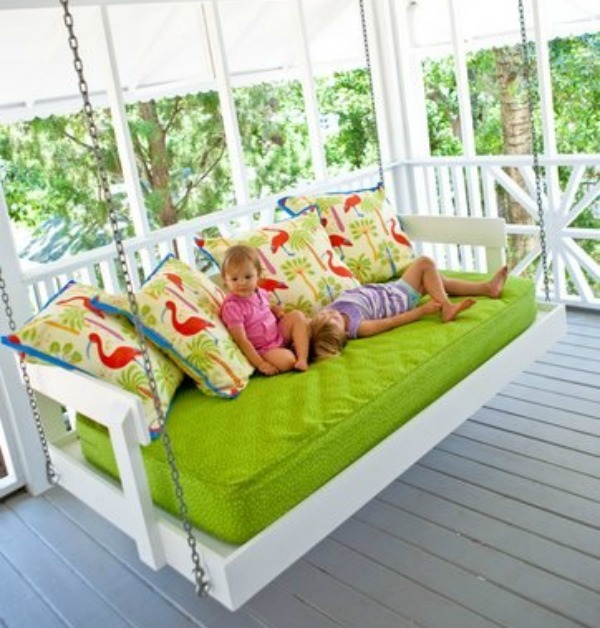 I want an outdoor porch swing! I totally want a porch swing or some sort of hammock! those are so beautiful and relaxing. loving the colors. There's nothing better than a swinging couch on a deck, especially on a warm summer evening. :) This makes me want to go on vacay so bad. I always wanted one of these type swings. We now have the perfect place at our new house. Hopefully one day. AH a porch swing, one can dream...do you ever watch revenge? Now THATs the life...minus all the murder and back stabbing. So pretty! 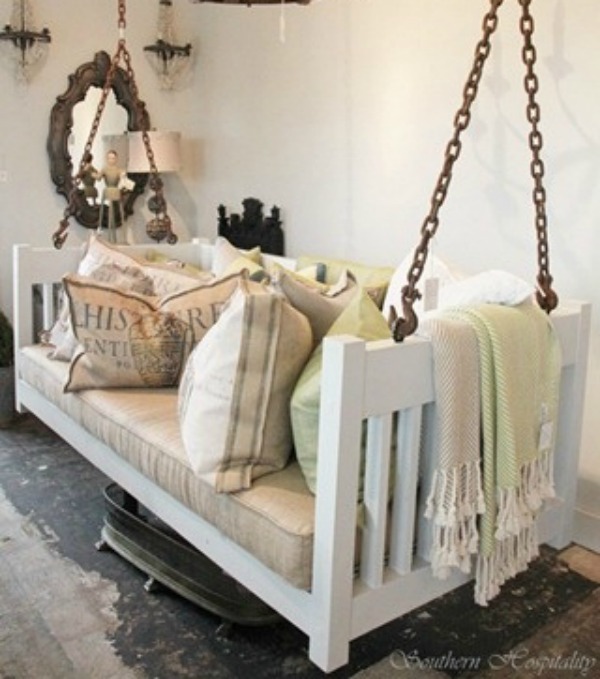 I want a porch swing so bad! I want one so bad!! We had a hammock at our old place and I loved taking naps in it! so true, I wish I could have one! My dad built one of these swinging beds for our porch and they're honestly amazing! I could spend hours reading magazines or napping out there. I would kill for one of those porch swings. Or to have a large outside space. One day. I love this beautiful inspiration! The last is my favorite. The color palette and style is perfect for a beautiful beach house!